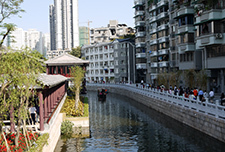 Many sections of modern Chinese cities are hundreds if not thousands of years old. 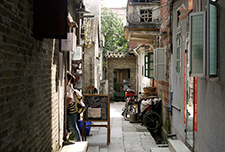 While the most famous historical buildings are generally protected by national, provincial or municipal historical preservation regulations, few entire historical neighborhoods have been preserved. 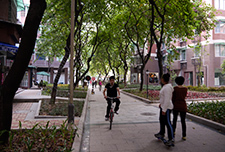 Historical quarters built long before the automobile age frequently have narrow walkways and roadways and varied buildings that make for lively streets ideal for walking and cycling. 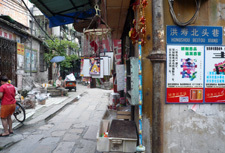 Over time, however, if such areas are unable to attract investment to restore the buildings, and the city does not modernize the infrastructure, the area can deteriorate. 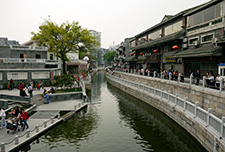 In Guangzhou, many of these historical quarters were built along canals that were later paved over and turned into roads. 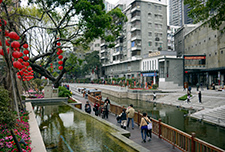 The Liwan district was once a tranquil neighborhood of canals, lakes, and narrow streets west of Guangzhou’s ancient city walls. 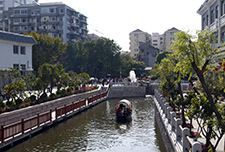 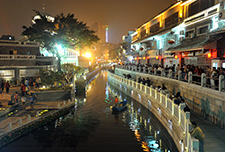 The Lizhiwan Canal was once a classic canal connecting the Pearl River to the imperial Liyuan gardens, where the South Han Emperor was said to have entertained his concubines by collecting the red lychee nuts that grew along its banks. 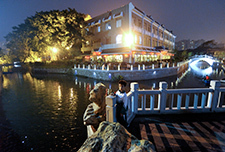 Over time, however, as it became a sewage and drainage canal, the Lizhiwan was covered and turned into Xiguanguwan Road. 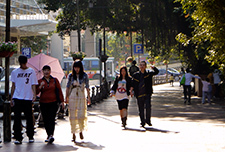 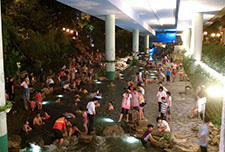 In the 1990s, Guangzhou began to restore the entire hydrological system in the Liwan District. 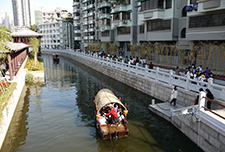 With construction taking place mainly during 2009-2010, 121 segments of the river and canal system began restoration, including the Lizhiwan canal. 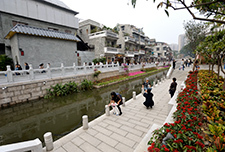 Sewers were connected to new sewer pipes, the canal was dredged and decontaminated, the walls of the canal rebuilt, the land along the canal cleared, adding new walkways and period landscaping. 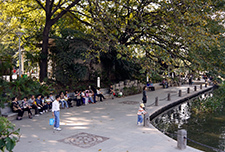 The waterway was then connected to the Liwan Lake to allow the water to circulate. 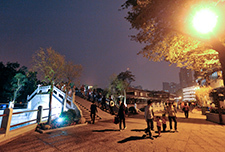 In 2009, the Liwan District created a 58-hectare Lizhiwan cultural and recreational district in the surrounding area, preserving and restoring many of the historical buildings. 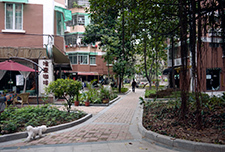 Many derelict properties were redeveloped as shops and offices. 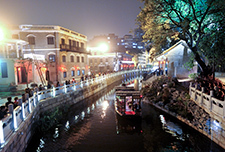 Restaurants in the area saw their revenues triple, rents along the canal doubled in the first year, and rent on the surrounding streets increased by about 50% after the project was completed. 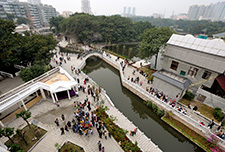 The area has enjoyed an average of about 20,000 visitors per day since it opened, and it is currently being extended at both ends, with a plan to eventually reach the Pearl River. 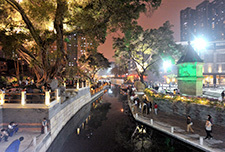 Click here for more photos of Lizhiwan.